VisitWiltshire has launched the county’s first ever tourism App, which showcases the best of the Wiltshire tourism offering and provides unique content, including App-only special offers, and will be an interactive and invaluable source of information for visitors. The App is part of VisitWiltshire’s marketing strategy to boost tourism visits and spend to the county. The mobile app is now available to download for free from the Apple and Google Play stores. The wide range of content on the app will reflect the breadth of attractions and activities the county has to offer, including Salisbury Cathedral; the Stonehenge and Avebury World Heritage Site; Longleat and Wiltshire’s renowned white horses; the Kennett and Avon Canal and Caen Hill Locks; and Wiltshire’s variety of scenic villages and historic market towns. It also includes details of all VisitWiltshire’s 480+ tourism partners, as well as sections on towns and villages, things to do, accommodation, shopping, food and drink, outdoor activities, and what’s on in the county. Other features include interactive mapping – so visitors will be able to find places nearby, special offers, Wiltshire-themed games, and weather updates. “We’re delighted to be launching our new VisitWiltshire App, which will showcase Wiltshire as a fantastic tourist destination and offer visitors a wealth of ideas and information on what to see and do when out and about or planning a visit to our county. The VisitWiltshire App shows visitors our fantastic attractions, great range of accommodation, restaurants, pubs, great shops, and many other highlights and locations. Having over 480 Wiltshire tourism businesses contribute makes this a tremendous resource for our visitors. A BUS company taking tourists to Stonehenge has said it will make scheduled stops in Amesbury again after residents expressed outrage over the lack of public transport links to the world heritage site. Wilts & Dorset, which runs the Stonehenge Tour, currently only has a request stop in Amesbury for the tour, meaning many tourists dropped off by other coach companies often have to pay for a taxi to Stonehenge or are forced to walk there. For Amesbury, which is promoting itself as the centre of the Stonehenge region and encouraging tourists to visit, the lack of joined-up public transport has provided a “very bad image”. Concerned residents told the Journal small groups of young tourists from abroad were often seen in Amesbury asking how they could get to Stonehenge. Ann Riordan, who lives in the town said: “They are often confused about directions and I have come to fear greatly for their safety in walking along and then crossing the very busy A303.” Amesbury’s mayor Jan Swindlehurst welcomed the news from the bus company, saying: “I think the whole town council will be overjoyed – no-one could understand why Wilts & Dorset stopped it in the first place. Stonehenge is a 365 day a year attraction – some days there may be no-one but on others there can be six or eight people, if it’s pouring with rain the last thing you want to do is walk there. A spokesman for Wilts & Dorset said the bus stop in High Street near the bus station would be reinstated in about a week’s time. 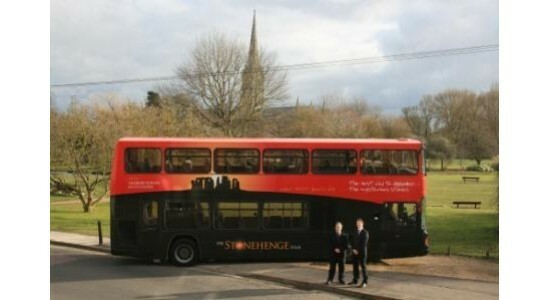 The Stonehenge Tour Bus pictured above is the only regular public transport to Stonehenge itself. It normally runs at least hourly and more frequently in the summer months. The Stonehenge Tour Bus also allows you to stop over at Old Sarum, which is worthwhile. The journey itself is quite scenic. The Stonehenge Tour Bus starts from Salisbury Rail Station and also picks up at the Bus Station. There is no left luggage facility at the train station but the Cat Tavern, a pub about 100 yards down the approach road of the rail station acts as the left luggage service for Salisbury – though its not advertised on the outside of the premises. The bus works on a hop on, hop off principle. You can spend as long as you like at Stonehenge or Old Sarum, you do not have to ride on a particular schedule. 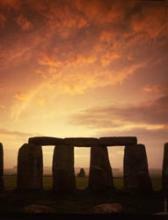 Buses depart Salisbury Station hourly from 10 a.m. daily stopping broadly in-line with the closing time of Stonehenge. You could not use this service for Special Access visits outside normal opening hours of Stonehenge. The buses are double deck buses, so you get a great view of the countryside too. You also get a very informative commentary as you go along about Stonehenge, Salisbury and much else besides. You can purchase tickets both on-line in advance or from the bus itself on the day. There are several ticket options. You can opt to pay just for the tour bus or a ticket that combines the tour bus with admission to Stonehenge and Old Sarum or Stonehenge, Old Sarum and Salisbury Cathedral. Good news for Stonehenge and the new visitor centre. STONEHENGE has been given a £10m boost, thanks to the Heritage Lottery Fund, it has been revealed. The grant will support work to remove the existing visitor facilities allowing the experience of the stones to be more naturally integrated with its ancient processional approach and the surrounding landscape. These improvements will give people the chance to explore what the site would have been like thousands of years ago. The project aims to improve the visitor experience, including the creation of a new carefully designed visitor centre which will include education and exhibition spaces to help people learn more about Stonehenge’s history. The project will also support training opportunities and a new volunteering programme. Dame Jenny Abramsky, Chair of the Heritage Lottery Fund, said: “Stonehenge is one of the archaeological wonders of the world. It demonstrates the vital role heritage plays within the UK’s tourism industry as well as being a great example of our fascinating history. LEADING experts on Stonehenge will be gathering in Salisbury to debate the monument’s purpose next weekend. The main speakers will be Professor Tim Darvill, Professor Mike Parker Pearson, Mike Pitts and Julian Richards. The debate will be chaired by Andrew Lawson. Museum director Adrian Green said: “This is the first time that all the leading Stonehenge archaeologists have been gathered together for a public debate in recent times. There will also be a paper about recent survey work at Stonehenge by English Heritage archaeologist David Field on Saturday afternoon and a tour of the Stonehenge landscape on Sunday afternoon. Stonehenge has been a vital part of the history of Salisbury Museum. The first official guidebook to the stones was written by former curator and director Frank Stevens in 1916. The museum’s collections contain finds from every major excavation at the site, and since Victorian times it has had permanent displays about the monument. Tickets for the whole conference, including a buffet, are £60 for members and £75 for non-members. Separate tickets for the Stonehenge debate are £15. Streaking down towards Stonehenge across the path of all the other stars in the sky, this shooting star is hurtling to Earth at 135,000 miles per hour – 100 times the speed of Concorde. The smaller, diagonal lines on the photo are normal stars, with the long-exposure photography tracing their movement in the sky as Earth revolves. The longer, almost vertical streak of light is the shooting star, which stems from grains of dust left behind by the comet Swift-Tuttle as it sweeps through space. 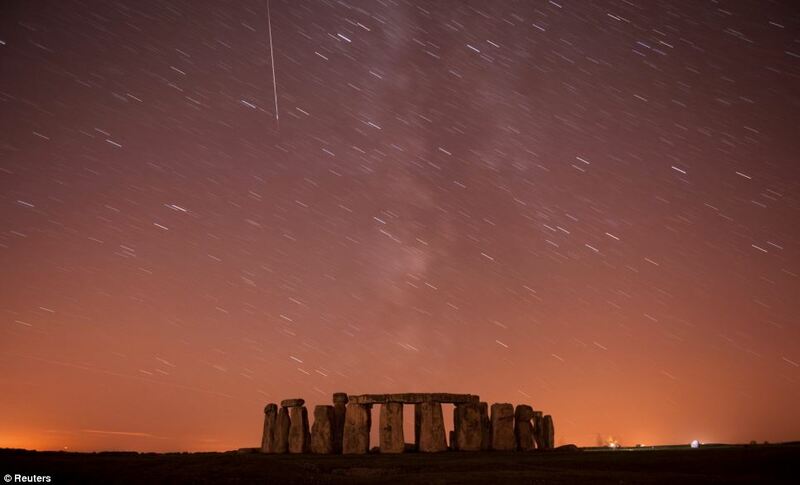 A meteor streaks past stars in the night sky over Stonehenge in Salisbury Plain. More personal photos will be uploaded later this week. Using the ground-penetrating equivalent of an X-ray, scientists have discovered what appears to have been a circle of massive timber obelisks, constructed more than 4,200 years ago. The newly discovered “henge” would have been visible from Stonehenge itself – and seems to have been part of a wider prehistoric ritual and religious landscape. Roughly 25m in diameter, it was almost the same size as the central part (the circle of standing stones) at Stonehenge itself. The newly discovered monument – almost certainly some sort of Neolithic temple – is thought to have consisted of 24 wooden obelisks, each around 75cm in diameter and therefore potentially up to 8m high. The circle of obelisks was enclosed by an inner ditch and probable outer bank. Of potential significance is the fact that the newly found henge “mirrors” a similar monument (this time long known to archaeologists) on the other side of Stonehenge – 1,300m south-east of the famous monument. Like the newly discovered site, it is in direct line of sight of Stonehenge and had two entrances. All three monuments would have been roughly aligned. The discovery of the site north-west of the stone circle suggests that the Stonehenge landscape was even more complex than people have thought – and archaeologists are now keen to find further unknown elements of it. The archaeologists – from Birmingham, Bradford, St Andrews and Vienna Universities – are trying to map the unknown aspects of the Stonehenge landscape without digging a single hole. Instead of conventional excavations, they are using X-ray-style systems which look beneath the ground surface. 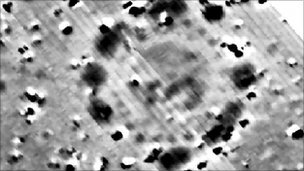 The techniques – including magnetometry, ground-penetrating radar, electrical imaging and resistivity – are likely to yield huge amounts of previously unknown information about what the Stonehenge landscape looked like 40 to 50 centuries ago. The newly discovered prehistoric temple was found using the subsurface archaeological detection system known as magnetometry, which measures the differences in interaction with the Earth’s magnetic field produced by different layers or deposits of earth or rock. Detecting variations in the strength of the magnetic field revealed the existence of the enclosure ditches and the pits believed to have held the timber obelisks at the newly discovered henge. The circular ditch surrounding a smaller circle of deep pits about a metre (3ft) wide has been unearthed at the world-famous site in Wiltshire. Archaeologists conducting a multi-million pound study believe timber posts were in the pits. Project leader Professor Vince Gaffney, from the University of Birmingham, said the discovery was “exceptional”. The new “henge” – which means a circular monument dating to Neolithic and Bronze Ages – is situated about 900m (2,950ft) from the giant stones on Salisbury Plain. “You seem to have a large-ditched feature, but it seems to be made of individual scoops rather than just a straight trench,” he said. “When we looked a bit more closely, we then realised there was a ring of pits about a metre wide going all the way around the edge. “When you see that as an archaeologist, you just looked at it and thought, ‘that’s a henge monument’ – it’s a timber equivalent to Stonehenge. “From the general shape, we would guess it dates backs to about the time when Stonehenge was emerging at its most complex. “This is probably the first major ceremonial monument that has been found in the past 50 years or so. Data from the site is being collected as part of a virtual excavation to see what the area looked like when Stonehenge was built. Speculation as to why the 4,500-year-old landmark was built will continue for years to come, but various experts believe it was a cemetery for 500 years, from the point of its inception. 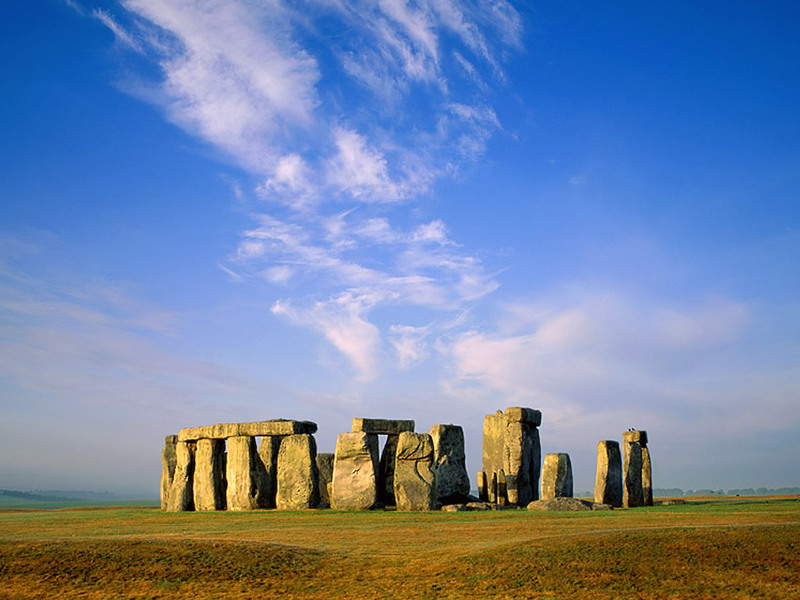 In 2008, the first excavation in nearly half a century was carried out at the iconic site on Salisbury Plain. This latest project is being funded by the Ludwig Boltzmann Institute for Archaeological Prospection and Virtual Archaeology, in Vienna, and the University of Birmingham, and is assisted by the National Trust and English Heritage. Professor Gaffney said he was “certain” they would make further discoveries as 90% of the landscape around the giant stones was “terra incognita” – an unexplored region. “The presumption was this was just an empty field – now you’ve got a major ceremonial monument looking at Stonehenge,” he said.